The Eye Clinic of Great Falls was opened in 1932 by Dr. M.F. Keller with the passion of providing those in our community with excellent eye care and products. Dr. Keller’s respect and care for his patients has been our foundation at the clinic. Dr. Paul Kathrein joined our practice in 1974 and retired in 2000. Dr. John Kumm joined the clinic in 1991 and tragically passed away in 2013. Dr. Patrick Stibel joined in 1981 and retired in July 2016. Dr. Donald Hager continues to care for his patients since he started in 2008. Dr. Abby Thompson joined us in 2013, and our newest partner, Dr. Josh Hager joined the practice in July 2016. As the longest continuously operating optometric practice in Montana, Drs. Hager, Thompson, and Hager continue to provide the care that Drs. Keller, Kathrien, Kumm. and Stibel intended for our patients and community. 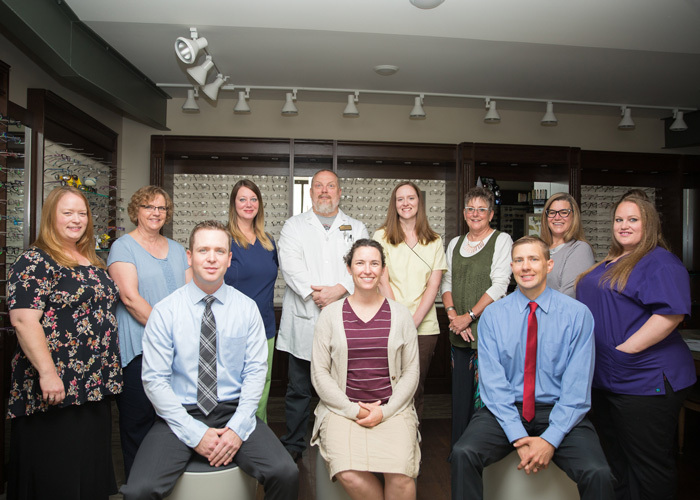 Our staff and doctors are here to serve you and your family with any of your eye care needs.